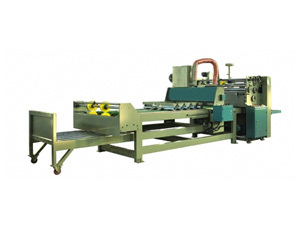 This ZX-1300-A type carton pasting machine is a kind of semi automatic equipment with pasting speed of 40 m/min. It is with the feature of quick order changing, glue drying leaking off, precise feeding, box ejected automatically, and so on. The hoist goes up and down automatically to ensure a right height for feeding. And we use flexible resin wheel to feed paperboard. Founded in 2009, Shanghai Pripack Machinery Co., Ltd. has continually focused on providing a wide variety of woven bag production line (fabric bag making machine), paper processing, printing and packaging machinery for customers around the world. We are very familiar with international market of paper bag making machine, hot foil stamping machine, flexographic printer, printing machine, paper processing, printing and packaging and its trend of development. With high quality assurance, our products are popular in markets including Ukraine, Russia period, Chile, Brazil, Argentina, Mexico, Malawi, Pakistan, South Africa, to name a few. With carton pasting machine of high quality assurance and CE certificated, we are sure to provide our customers with the best products at competitive price.